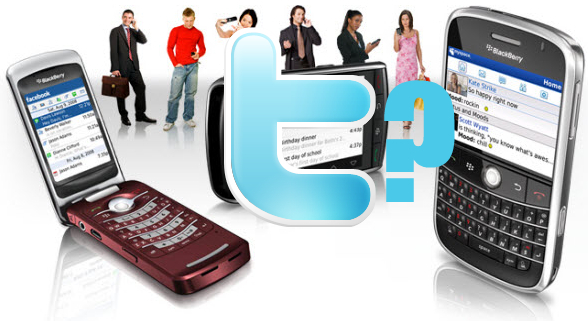 Do You Want RIM To Develop A Twitter App? RIM has done quite well with some of its internal applications as of late. Sure they kind of screwed delayed the launch of Facebook 1.5 but now that is here and all the bugs have for the most part been worked out, most users seem overall happy with the application. They have also done a great job with the IM clients. Albeit not perfect solutions all around, lets be honest, some of the RIM in-house bulit applications are among the best ones out there, as until just recently they had an unfair advantage with keeping their API's internal. With a lot of the RIM-built applications, social networking seems to be the draw for most BlackBerry users and I myself use them on a daily basis. So I'm really left to wonder at this point with the expansion of Twitter growing rapidly on a daily basis and the flood of Twitter applications being developed and seemingly updated on a daily basis, will RIM themselves ever dive into the Twitter world and give their attempt at a great application or will they leave it up to the third party developers who have been doing a solid job so far? So what do you all out there think? Will RIM decide to create their own Twitter application? Or at this point, with their huge push for developers and the opening of a lot of their once-internal API's will they leave this one fully up to the developers to take on. Let us know what you want to see in the comments. In the meantime, you can follow the links below to learn more about current Twitter clients available for your BlackBerry. We'd better get to work on an updated Twitter Roundup!